The Powerspark 20D8 Lucas 8 Cylinder distributor ignition kit. 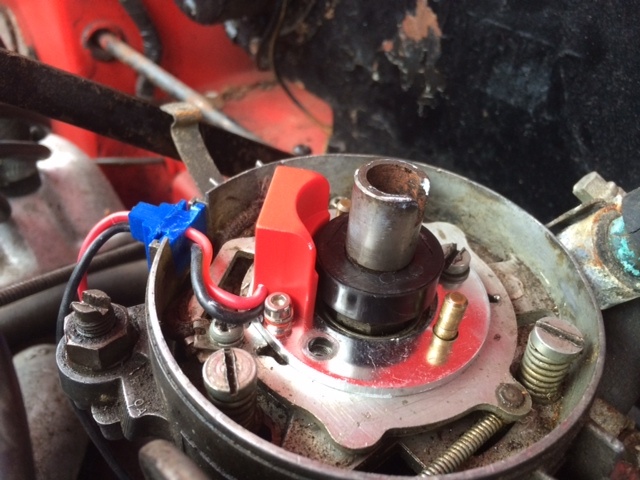 Usually fitted to Bentley 3 Series and T Series, Daimler 250, Dart V8, Majestic Major SP250 & Rolls Royce Phantom, Silver Shadow & Silver Cloud 3 is designed as a simple points replacement electronic ignition system. This ignition kit replace the twin points 20D8 Distributor with one simple ignition kit. Connect the Ignition kit to the ignition coil ensuring you follow the instructions shown. Currently this ignition kit is only supplied in negative earth.